Stock product - detailed vector illustration - Isometric Tiles Collection - City Map Set 05 - created by Aurielaki. Image formats EPS AI JPG. SKU: City-Map-Set-05-Tiles-Isometric-AurielAki. 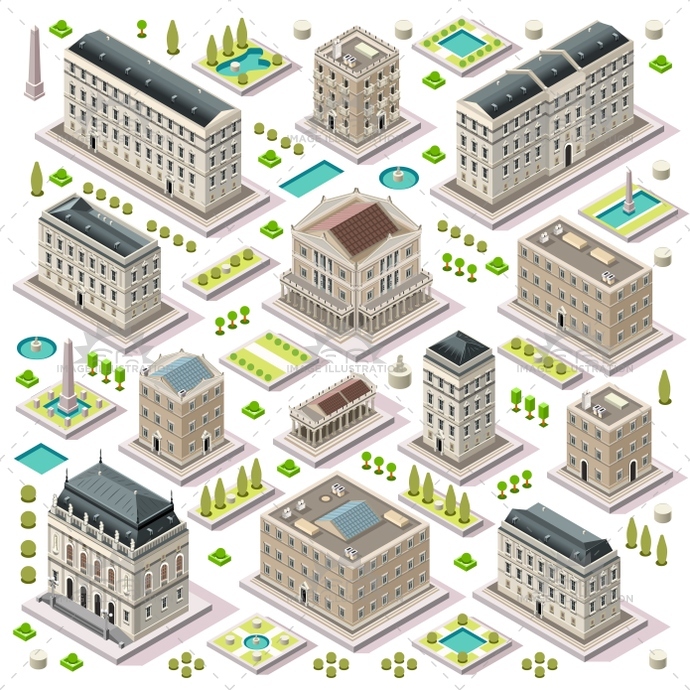 Categories: Famous Landmarks Vector 3D, Historic Building Vector, Isometric Building Icon, Isometric House. Tags: ancient, app, architecture, boutique, building, business, city, collection, company, construction, design, elements, estate, european, facade, game, hall, headquarter, historical, home, hotel, house, icon, illustration, isolated, isometric, map, miniature, old, outside, plan, private, property, public, residence, residential, retail, set, small, street, stylish, template, theater, tiles, town, university, urban, vector, web, white.